I have immediately requested an investigation and an explanation in writing. How can someone trust those contractors when they do things like that? 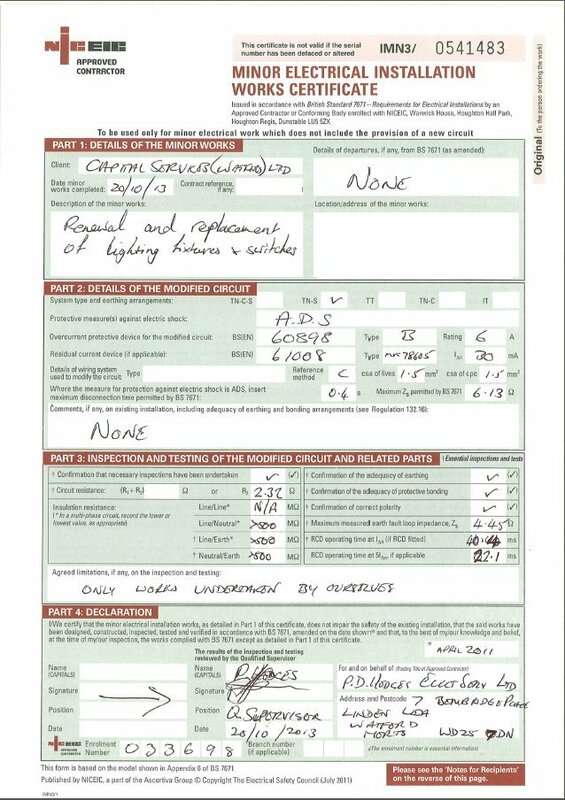 This is a retest to all the works previously done… No further works have been conducted only a test, the date on the certificate was an error it should have been 26th November as this is when it was written out. 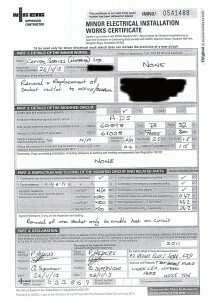 A copy with revision to the date will be issued in due course and forwarded to you. 1) Is the rest of the information correct or they input some random numbers? 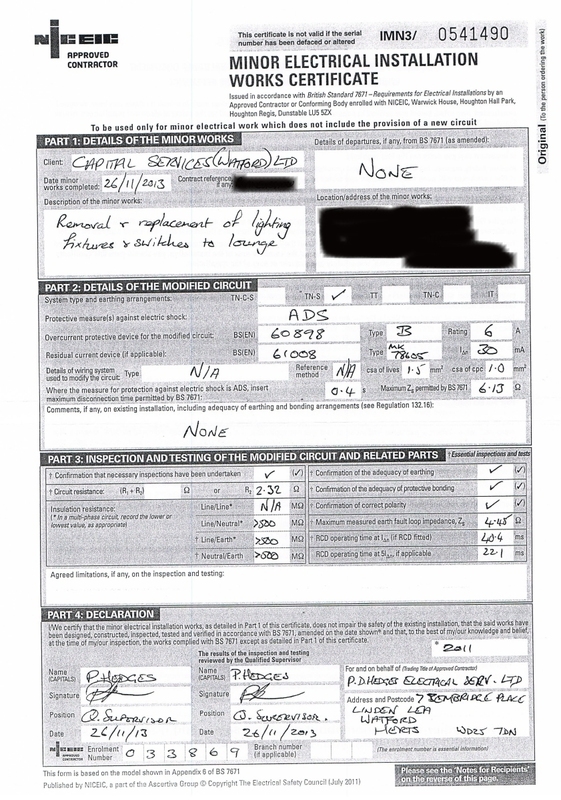 2) Why did Capital Services Ltd entered the wrong information? 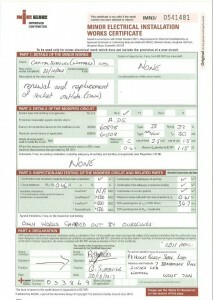 Replacement or renewal means EXTRA COST. 3) Are the previous certificates accurate or did they entered random information? 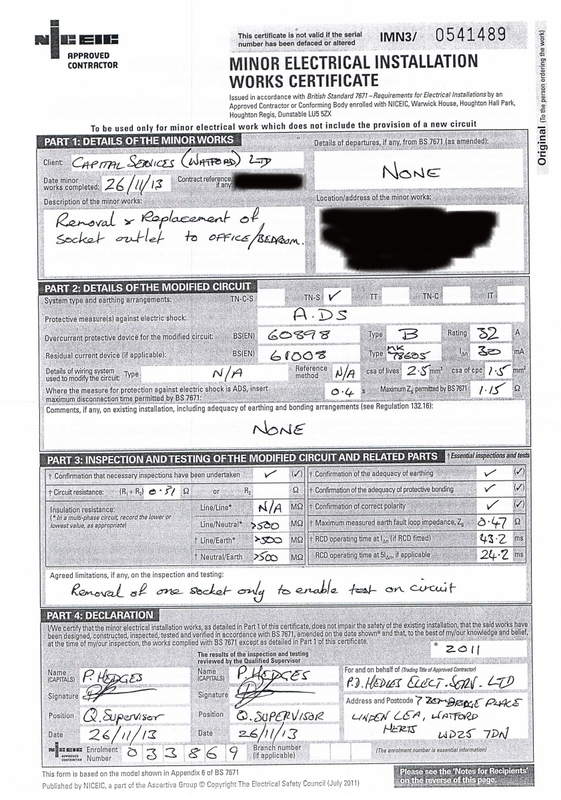 Please have in mind that if my electrician from PGS Services Ltd did not mentioned the “bonding” issues your electrician wouldn’t have fixed the problems because he had already issued the certificate without checking the final installation first. 4) How can I trust the validity of your certificates and how can I feel secure with this kind of unprofessional actions? 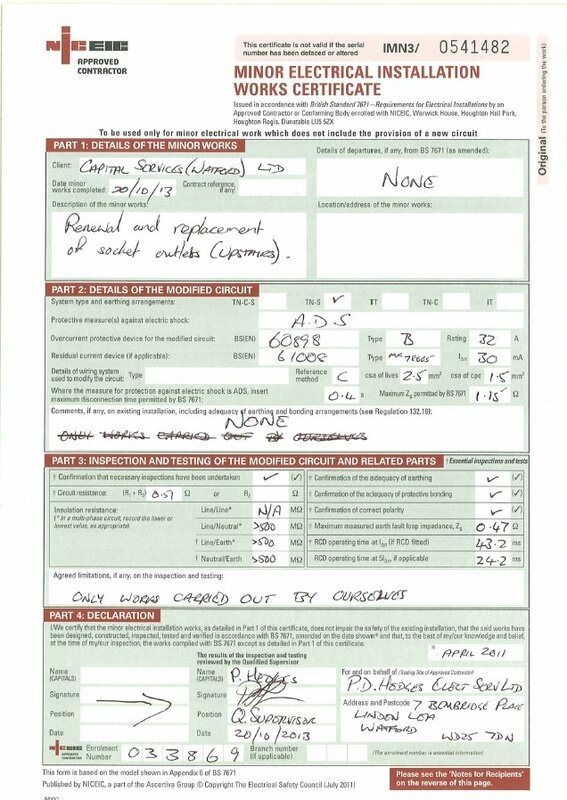 On the 07th February 2014, I received a reply from NICEIC that provided with a new set of certificates. New descriptions, new information and new re-installations!!!! 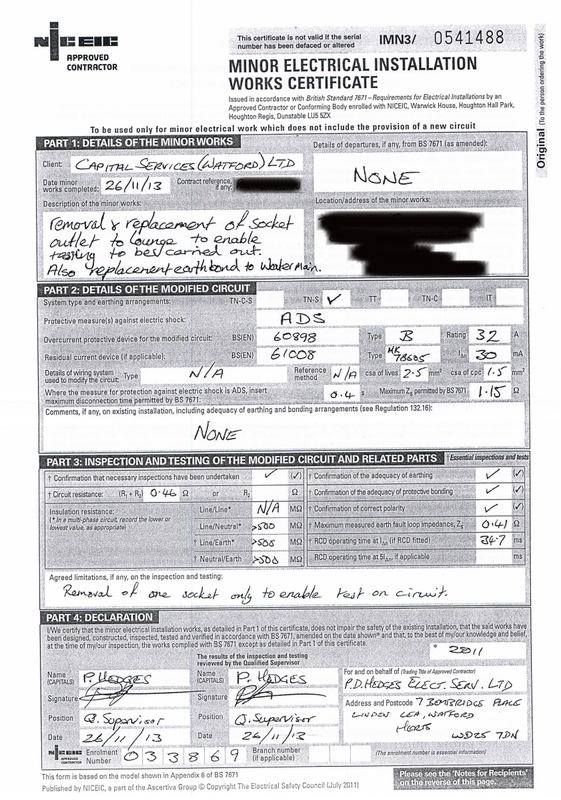 On the first certificate, No 0541488, P D Hedges Ltd claims that they replaced the bonding with the water mains on the 26th November 2013. This means that the previous electricians that the Capital Services Ltd had hired did not do their job professionally on Saturday 13th July 2013. 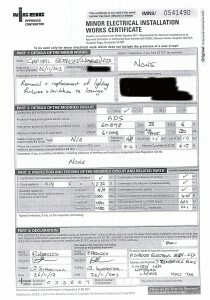 NICEIC does not want to admit that their registered members have not completed their job professionally. 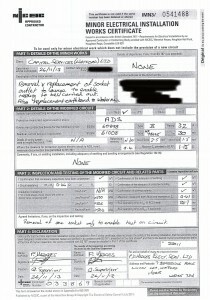 How can someone trust a NICEIC contractor if you know that the regulator does not take any action?